Barry Mann and Cynthia Weil are one of the most successful songwriting partnerships of all time. The husband and wife duo have written, or co-written, nearly 200 hit songs in the U.S. and U.K. alone, including penning the most played song in radio history, the #1 mega-smash “You’ve Lost That Lovin’ Feelin’,” released in 1964. Legendary record producer/ composer Quincy Jones had a history of only working with the best songwriters and musicians each time he took on a new project, so it was no surprise that he asked Barry and Cynthia to send him a new song to put on his upcoming album in 1980. When Quincy heard the demo of “Just Once,” he was equally stunned, calling Cynthia to say “Wow, Barry sang his a** off on that song,” thinking it was Barry Mann’s voice on the demo. 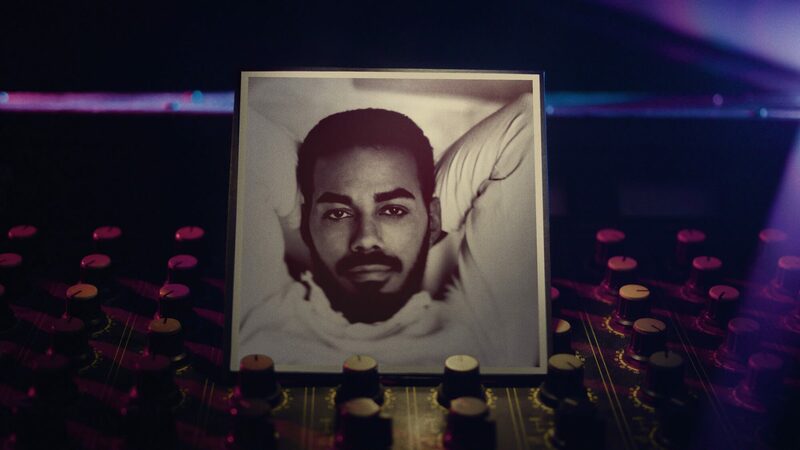 Cynthia revealed to Quincy that the demo was actually sung by “a guy named James Ingram.” Quincy wanted “Just Once” to be on his forthcoming album, set to be called ‘The Dude,’ and he wanted James Ingram to sing it. Quincy was so impressed with James, he also wanted him to put his voice to another song on ‘The Dude,’ titled “One Hundred Ways.” James quickly became part of ‘Q’s Crew, which was the name of Quincy’s trusted circle of ‘go-to’ artists and songwriters that he used for every project he worked on. The Recording Academy also recognized the immense talent of James Ingram, nominating him in three categories for the 1982 Grammy Awards. He was nominated for ‘Best New Artist’ and ‘Best Pop Vocal Performance’ for “Just Once.” The 3rd nomination proved to be the charm, when James won the Grammy for ‘Best R&B Vocal’ for his performance on “One Hundred Ways,” another big hit from ‘The Dude’ album, which rose to #14 on the Billboard Hot 100, #10 on the Billboard R&B Chart, and #5 on the Adult Contemporary Chart. Though Mann and Weil’s song, “Just Once” sung by Ingram would miss out on the Grammy that year, they would win two Grammys half a decade later with their composition “Somewhere Out There” sung as a duet by James Ingram and Linda Ronstadt from the animated film “American Tail” , which went to #2 on the Hot 100. James went on to receive 11 more Grammy nominations throughout his storied career, winning his second Grammy in 1985 for ‘Best R&B Performance by a Duo or Group with Vocal’ for “Yah Mo B There” with Michael McDonald. He also participated in the historic charity single USA for Africa’s “We Are the World” in early 1985. He was called on by Quincy Jones to sing two solo vocals, including a back and forth finale vocal with Ray Charles. He had eight Top 40 pop hits on the Billboard Hot 100, from 1981 through the early 90s, as well as 13 Top 40 hits on the Hot R&R/ Hip Hop charts, and he logged 20 hits on the Adult Contemporary charts, including two number-one singles. James has to his credit two number-one singles on the U.S. Pop chart, the first from 1983 called “Baby Come to Me,” a duet with Patti Austin, and the second from 1990 called “I Don’t Have the Heart,” which was his lone number-one song as a solo artist. We lost James in early 2019, but his glorious voice will live forever, as will his legacy of some of the most beloved music that has ever been recorded.